The most competitive race in this year’s Emmy Awards wasn’t in any specific category. Rather, it was a heated contest between cable giant HBO and godfather of streaming Netflix to see which media company would win the most Emmys this year. 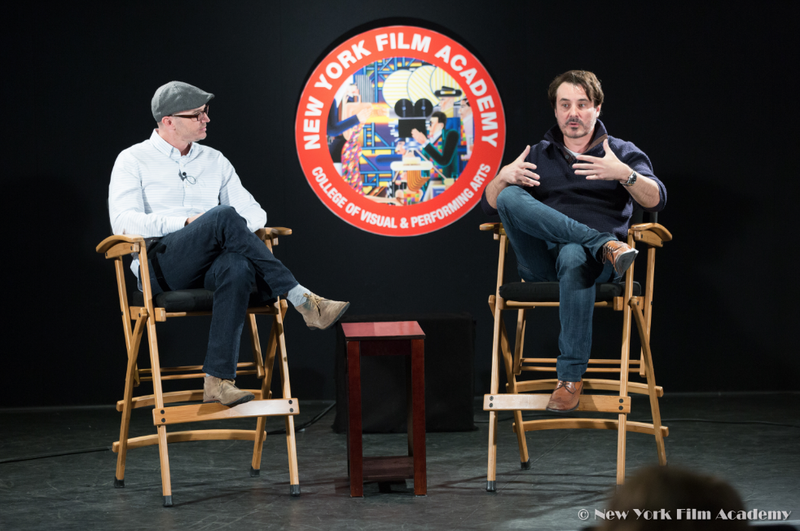 Several of HBO’s wins came from its new comedy, Barry, starring Bill Hader, a NYFA workshop alum, and Henry Winkler, who both won acting Emmys. 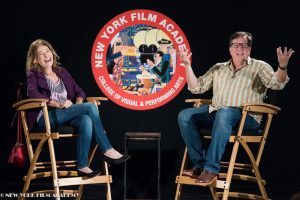 Henry Winkler was a guest speaker at our Los Angeles campus (you can also listen to his guest speaker event on the NYFA Podcast, The Backlot). 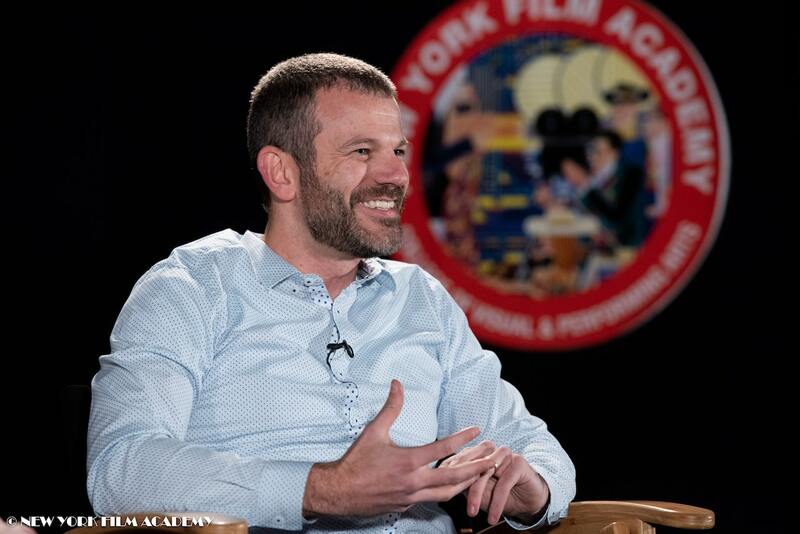 Other members of the NYFA community involved with this year’s Emmy Awards include Emmy-nominated alum Issa Rae (Insecure) and alum Francesco Panzieri, who has worked on Emmy-nominated Westworld. Additionally, Netflix’s critical and commercial hit Stranger Things was up for several nominations. 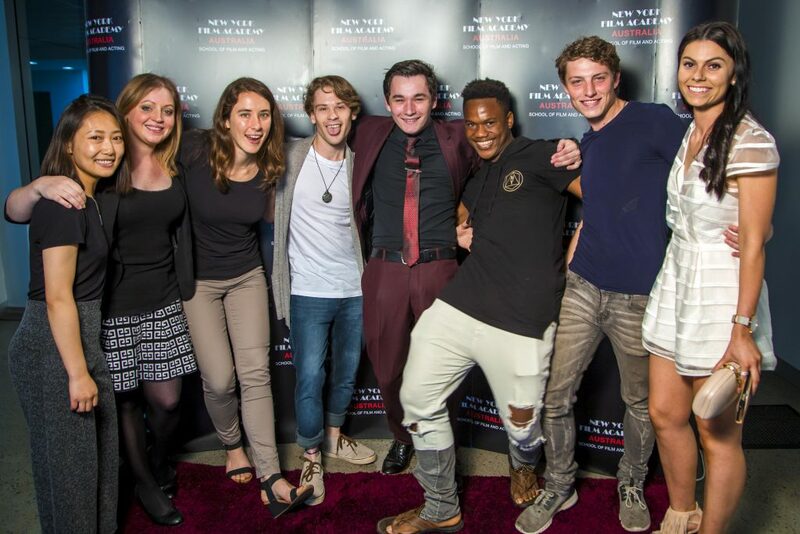 The nostalgic horror’s cast includes alum Matty Cardarople and NYFA Board Member and Master Class Lecturer Matthew Modine, and the show’s iconic opening titles were in part designed by Emmy-winner and NYFA alum Eric Demeusy. HBO was the Goliath in this situation — the network has won the most Emmys each year for nearly two decades running. In July, Netflix made headlines when it broke HBO’s 17-year streak of most nominations, with 112 total, to HBO’s 108. 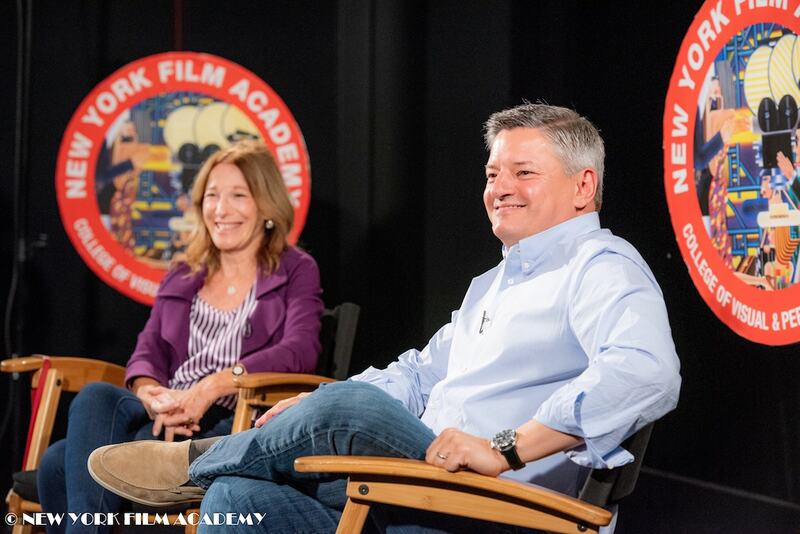 #NYFA wants to wish #TedSarandos best of luck on this beautiful night at the #Emmys70 !! @netflix has come out on top with 112 nominees in total ? Congratulations ? In the end, it came down to the final award of the night, for Best Drama Series — HBO was poised to lose to Netflix by a single Emmy and lose its record. However, Game of Thrones proved victorious, allowing HBO to tie with Netflix, and landing both at the top with 23 Emmys each. Sharing first place is still a huge victory for Netflix, which has been on an upward trend after coming in third in 2016 and second last year. 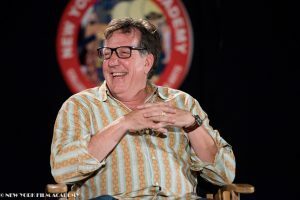 This continues the cultural dominance in longform storytelling that started when COO Ted Sarandos, who spoke with New York Film Academy (NYFA) students earlier this year, shepherded Netflix into the future of original content. Netflix and HBO weren’t the only big winners. Amazon Studios won its first top award when its original series The Marvelous Mrs. Maisel won Best Comedy Series, the first time a streaming-only service has won the category with its own content. Last year, Hulu won the first Best Drama Series Emmy for The Handmaid’s Tale. Ironically, for all its nominations and awards, Netflix still hasn’t won either prize. All told, the real winners are television viewers, as Peak TV continues its cultural dominance. 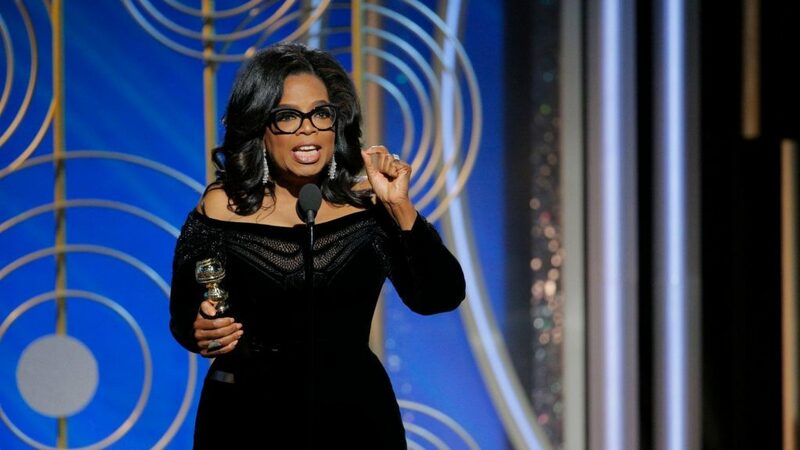 As HBO CEO Richard Plepler put it, “It’s a wonderful evening for us, but it’s an even better evening for the range of quality great work being recognized in the industry.” While many of the award-winners were white, this year’s nominations did represent a large number of people of color, as well as women in non-acting roles. A step, albeit small, forward for the industry. The New York Film Academy congratulates all the nominees and winners of the night and looks forward to another year of innovative, exciting storytelling from the industry! 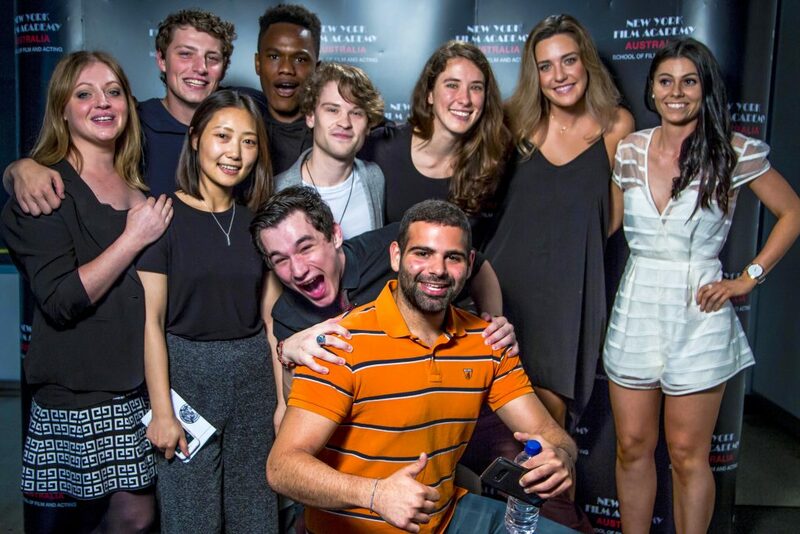 Last Friday, the New York Film Academy (NYFA) had the honor to be invited to the Netflix Sunset-Bronson Studios for a preview screening of Netflix upcoming series The Innocents followed by an exclusive Q&A with Netflix Chief Content Officer Ted Sarandos. Ted has led content acquisition for Netflix since 2000. 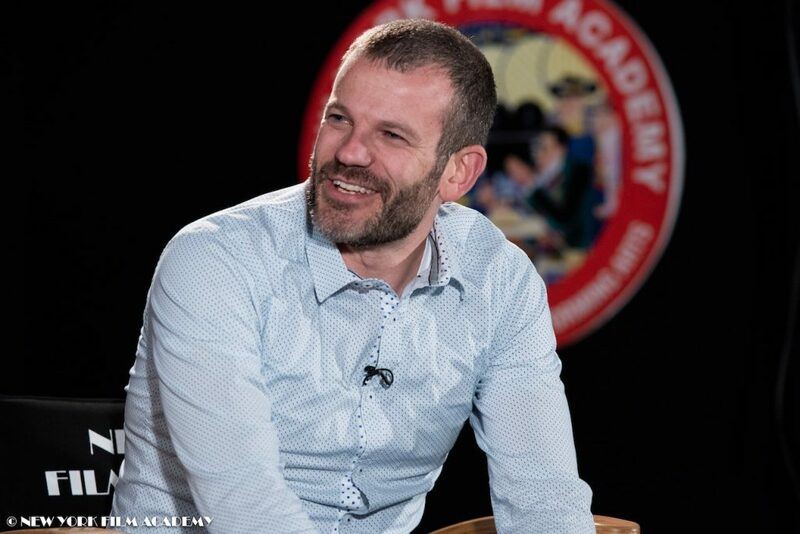 Since 2013, he led the company’s transition into original streaming content with the launch of House of Cards, Arrested Development, and Orange is the New Black, among numerous other series. Ted has been recognized as one of Time Magazine’s 100 Most Influential People of 2013, and as an innovator in film acquisition and distribution. 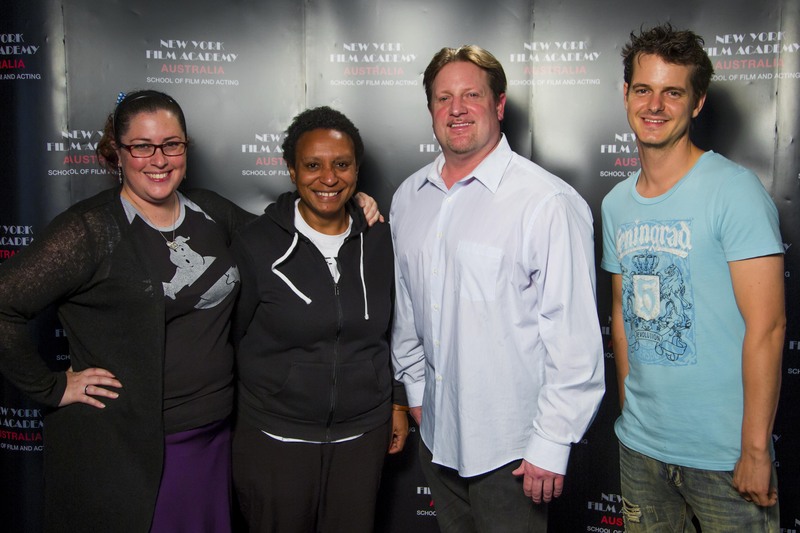 Netflix executive Matthew Thunell introduced the pilot. 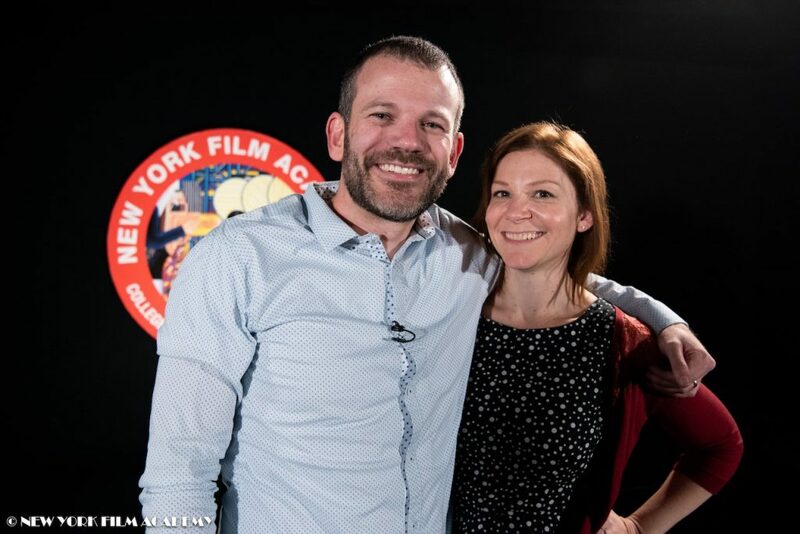 NYFA Director of the Q&A Series Tova Laiter hosted the afternoon. 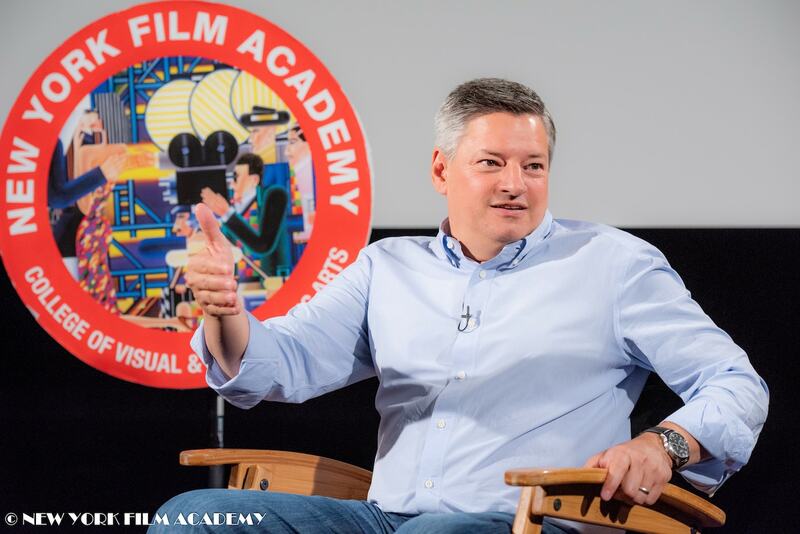 The New York Film Academy would like to thank Mr. Sarandos for inviting us to Netflix for this amazing Q&A. The Innocents will be streaming starting August 24th – only on Netflix. This year’s Golden Globe Awards was clearly different from years past, and not because it was the 75th anniversary ceremony. Nearly all women in attendance, and many of the men, wore all black in a sign of solidarity for the Time’s Up initiative — a response to the gender inequality and sexual harassment prevalent in both the film industry and society as a whole. A very public groundswell of support for the movement started after initial reports of sexual harassment came out against megaproducer Harvey Weinstein last year. Since then, more and more women and victims of sexual assault are coming forward and being heard after decades of an institutional culture that allowed sexual assault and discrimination to flourish. In addition to accusations against numerous prominent figures in the media, politics, and elsewhere, additional gender inequalities are also being placed front and center — including a sizable gender wage gap and the disproportionately small number of women represented both in Hollywood and political positions of power. After #MeToo made clear just how many women are affected by these injustices, Time’s Up was started to take specific actions to work towards finally reversing this trend. 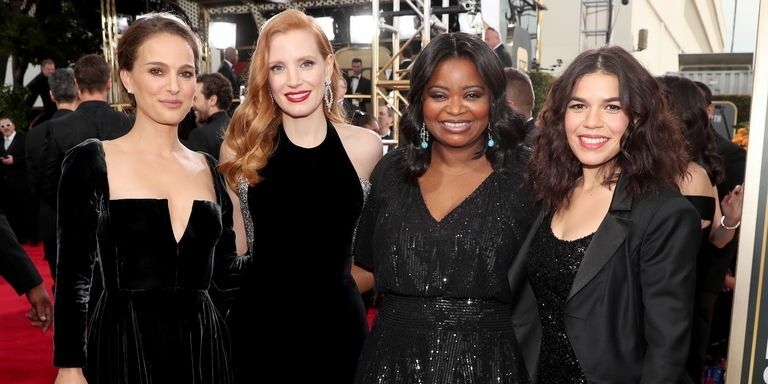 Along with the call for women to wear black on the Golden Globes red carpet, Time’s Up is advocating for laws that will punish businesses tolerating harassment, working to balance gender parity in the industry, and starting a legal defense fund to support lower-income women seeking justice for sexual harassment and assault in the workplace. Talk show host and this year’s emcee Seth Meyers delivered a straightforward opening monologue in support of Time’s Up and the women of Hollywood, while also acknowledging that as a straight white man, his voice wasn’t the most important in the room. While live during an E! Network red carpet interview, “Will & Grace” star Debra Messing pointed out that E! was also guilty of a significant wage gap between men and women. these black & brown activists being used on this red carpet as conversation starters is so jarring. why couldnt they just invite them, let them bring their families, give them the chance to speak? In addition to wearing black, many of the attendees and presenters displayed Time’s Up pins in support of the movement. The HBO drama “Big Little Lies” dominated the television categories with a cast of mostly women playing complex female characters with nuanced storylines — something that shouldn’t be all that rare, but sadly is. These are just some specific instances of a much broader mood and drive dominating the culture right now. 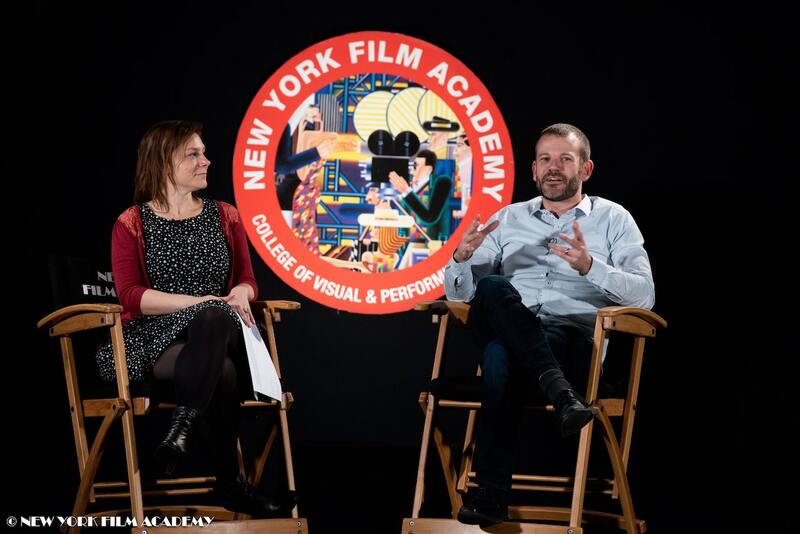 As an institution that prepares students for careers in Hollywood and the entertainment industry, the New York Film Academy is especially receptive to Time’s Up and the #MeToo movement. Many of the Golden Globes viewers — and even some nominees, like Issa Rae — were students, alumni, and faculty members. In 2013, the New York Film Academy researched gender inequality in the film industry and presented its data with an infographic that plainly showed just how serious the problem is. In the intervening years since that infographic was first published, gender inequality has not improved in the film industry. In 2017, Forbes released their annual list of highest-paid actors and actresses. The top 14 were all men, with Emma Stone ranked as the highest-paid actress at #15. A 2016 study found that women — roughly half the population — comprised only 28.7% of all speaking roles in films. Additionally, only 18% of films represented a balanced cast (half the speaking characters being female). The New York Film Academy prides itself on its diverse body of students, encouraging artists from any number of backgrounds to collaborate and bring together their distinct, personal visions in order to create even stronger, more meaningful stories. 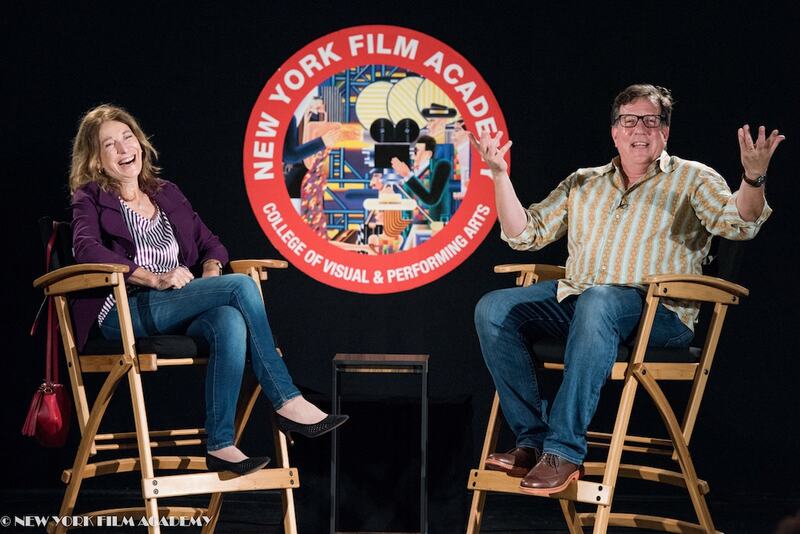 Indeed, in 2017 more than half of NYFA’s students were women — a hopeful sign of the industry’s future. 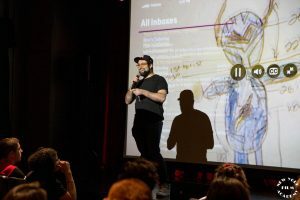 It goes without saying that there is still a lot of work to be done, and a lot of changes that need to be made to both the entertainment industry and the contemporary culture it inhabits. As Oprah Winfrey said in her acceptance speech, telling stories and speaking truth to power is one important way to help bring about these changes. 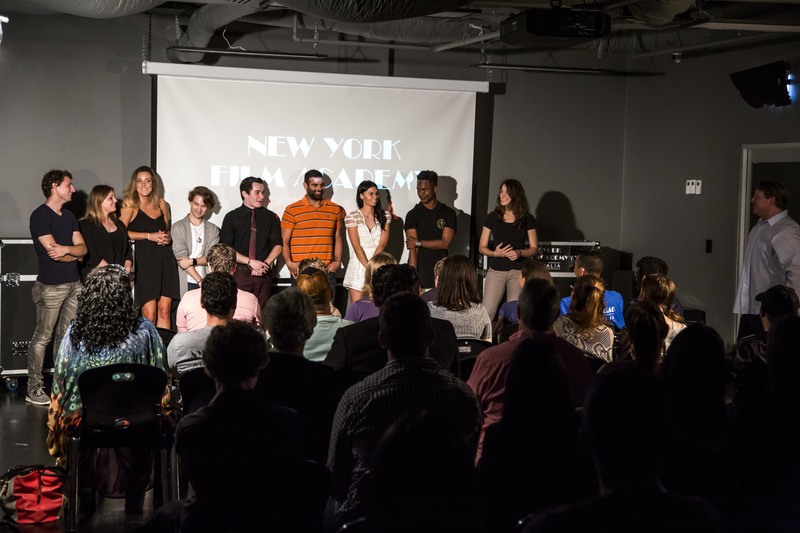 The New York Film Academy encourages those who were previously afraid to use their voice to tell their stories, and to be loud as possible — the time is now. 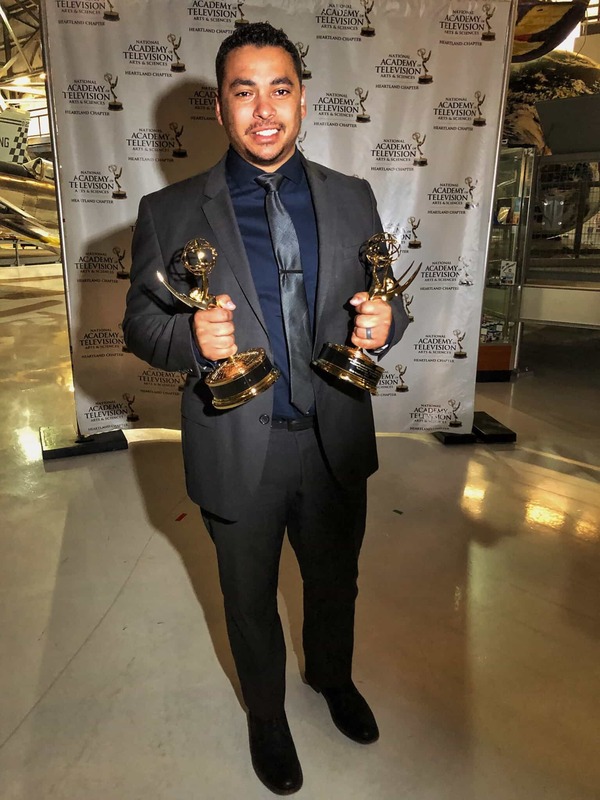 New York Film Academy alumnus Cody Broadway has been quite productive since taking the One Year Filmmaking program at our New York City campus. In addition to directing the dramatic short film “She Rides Bulls,” Broadway has also put in multiple years at FOX television affiliates in both San Angelo and Abilene, Texas. Since then, he’s worked at KUSA 9NEWS, a major NBC station based in Denver, Colorado. It’s there that Broadway worked as Visual Producer for their heartbreaking yet important continuing coverage of the city’s drug plight. That effort paid off when KUSA’s “Mile High Heroin: Denver’s Struggle with Addiction” earned the team a Heartland Emmy Award. 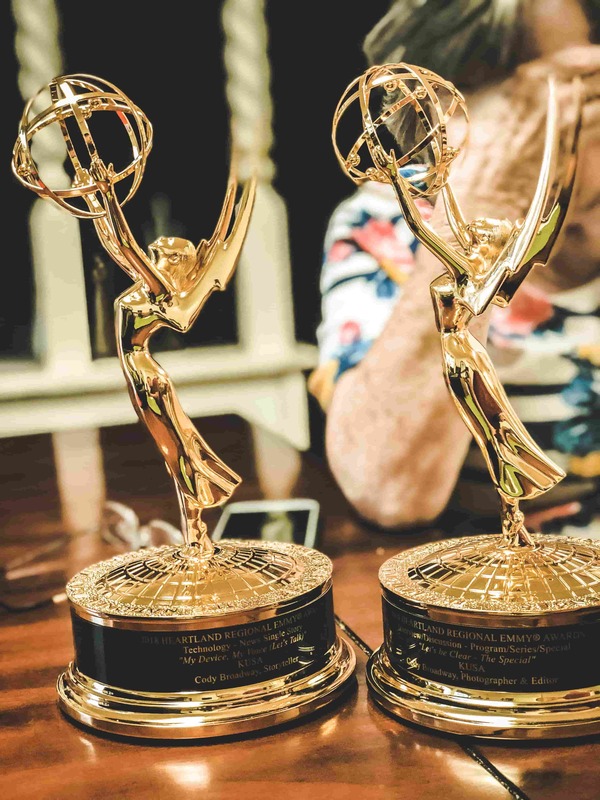 The Heartland Emmys Awards are an official chapter of the National Academy of Television Arts and Sciences, who famously distribute the Daytime Emmys and Sports Emmys, among several other prestigious ceremonies. A significant portion of the midwest, including large regions in Wyoming, Kansas, Nebraska, Oklahoma, and Colorado, is covered by the Heartland Emmys, and the competition each year to win one of the golden statues is always tough. New York Film Academy congratulates the KUSA team and Visual Producer Cody Broadway on their award and applaud their invaluable reporting on Denver’s tragic addiction crisis. 2018 Update: Cody Broadway won two more Heartland Emmy Awards. This year, he took home two awards for Storyteller and Photographer/Editor. Congratulations, Cody! The writer and creator of “Siberia,” “Emerald City,” and “Shadow People,” Matthew Arnold, visited the Los Angeles campus of the New York Film Academy on Monday, February 27, 2017. Students from several writing classes attended the event. 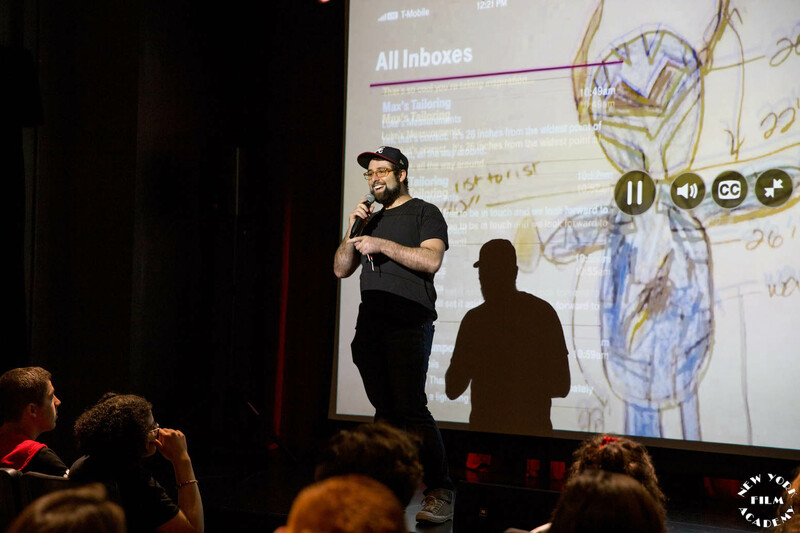 Arnold read pitches for each of his most recent projects and gave students advice on how to refine their pitches. “I like to do a little research (before a pitch), so I have something to talk to the executives about…. “I think that’s the big challenge. To be honest, I didn’t have this thought when I first sat down to write it. I was just excited to write. But when we got into production, I realized there was a huge responsibility on me. People have a certain feeling about the ‘Wizard of Oz.’ They have childhood memories and beliefs about the story. It really irks me when someone takes the source material and go left, keeping only the names. What’s the point of that? 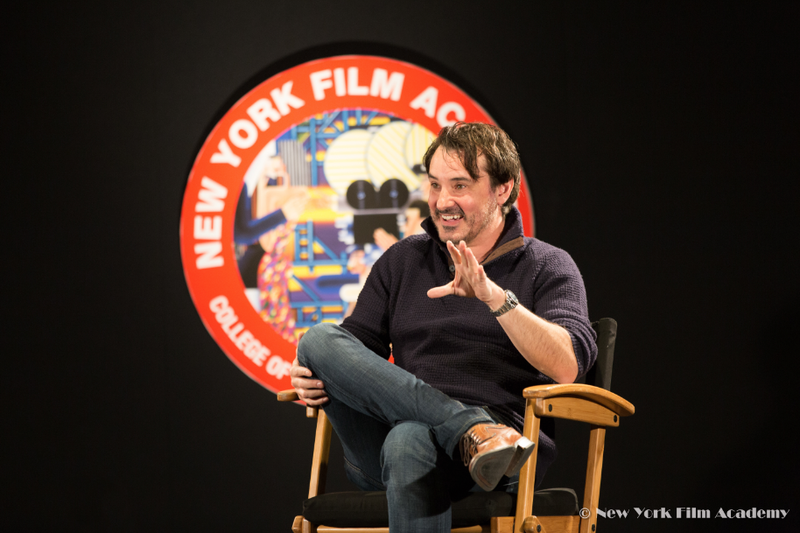 The New York Film Academy would like to thank Mr. Arnold for taking the time to speak with our students. You can watch “Emerald City” Fridays on NBC.